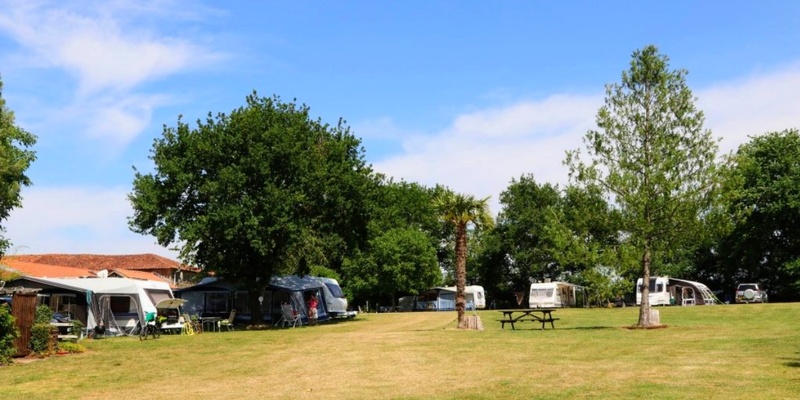 Our small campsite, situated in the manor grounds, consists of a number of spots shaded by long-established trees, or sunny spots for the sun worshippers among you. 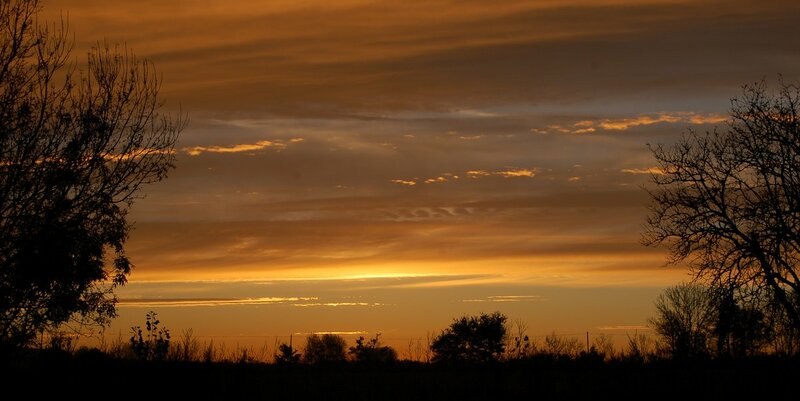 No matter your preference, beautiful sunsets can be enjoyed from any of our pitches. 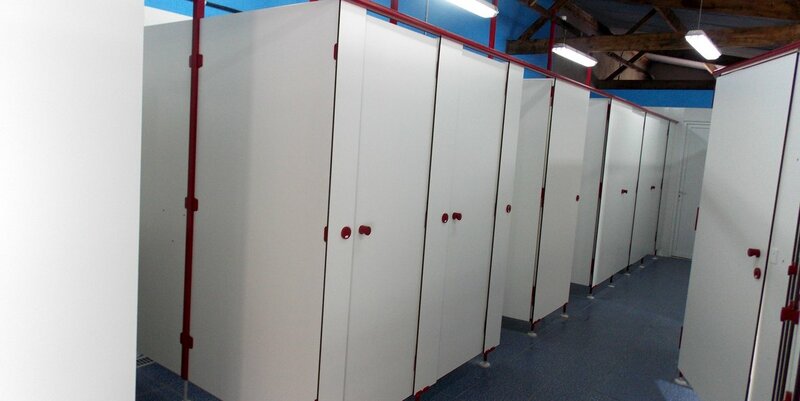 We provide modern, well-lit facilities which are accessible 24/7, including shower block, WCs, laundry with washer and dryer, utility sinks, and refrigerators. 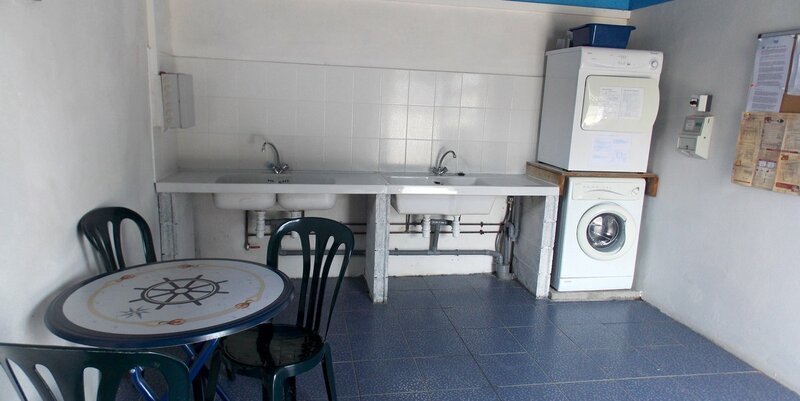 Our facilities are cleaned twice daily to ensure our guests’ comfort and well-being. Enjoy the sunshine and beautiful scenery by the swimming pool. 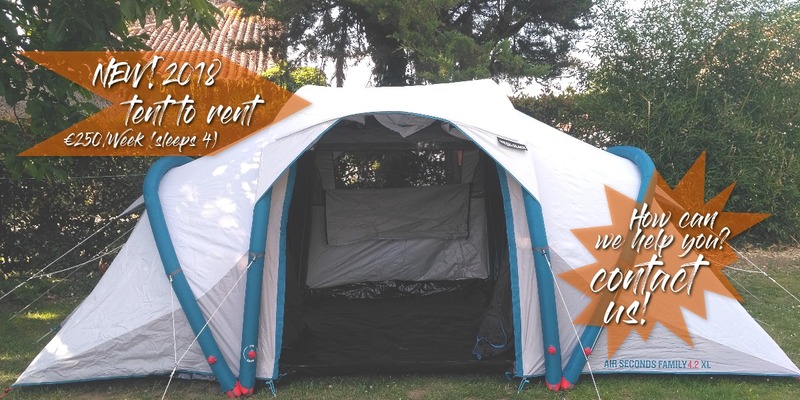 We have lounge chairs, pool accessories, and a playground with swings, slides and trampoline, even a hut. There is also a petting zoo with rabbits, pigs, chickens and turkeys. 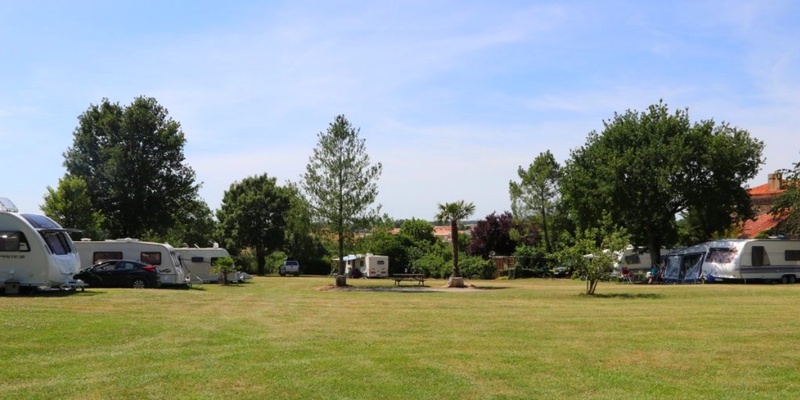 We can arrange for traditional French games of boules and palet in the campground. Our games room features board games, television, darts, ping-pong or billiards. From time to time, games and competitions are organized by and for our friendly guests. All amenities here. We pride ourselves on a warm and friendly family atmosphere with no boundaries or overcrowding. With 90% repeat bookings our guests come here to relax and enjoy their holiday. We organize the occasional special events e.g. an annual BBQ in June where campers have an enjoyable evening. All rates. 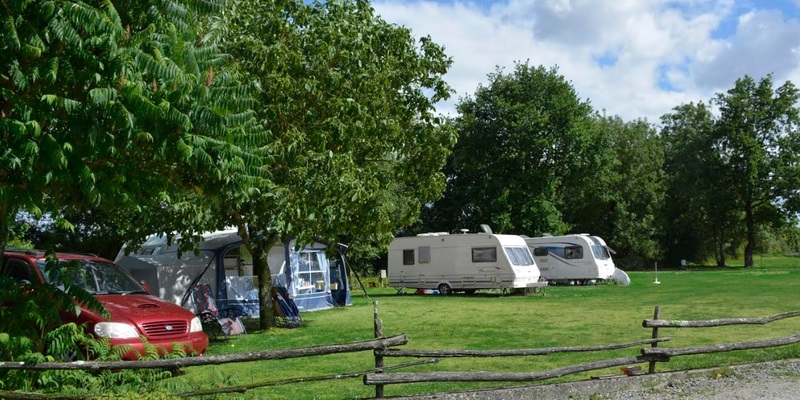 Caravan pitches are €23/ night.